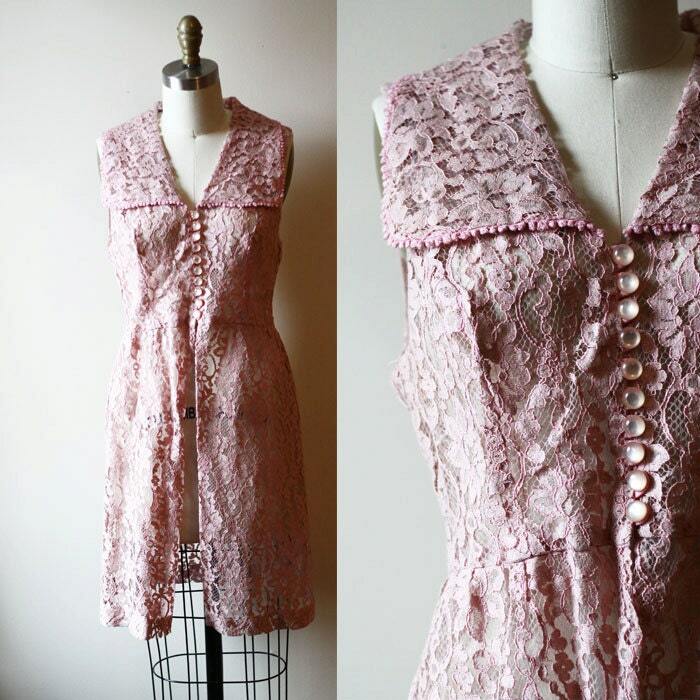 1960s rose coloured lace sleeveless tunic. 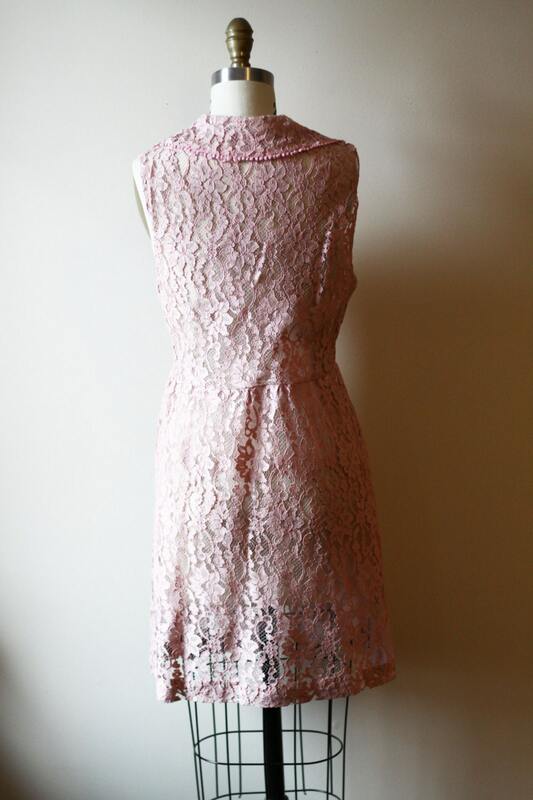 Button closures running down the front of the dress with a large slit starting at the waistline. 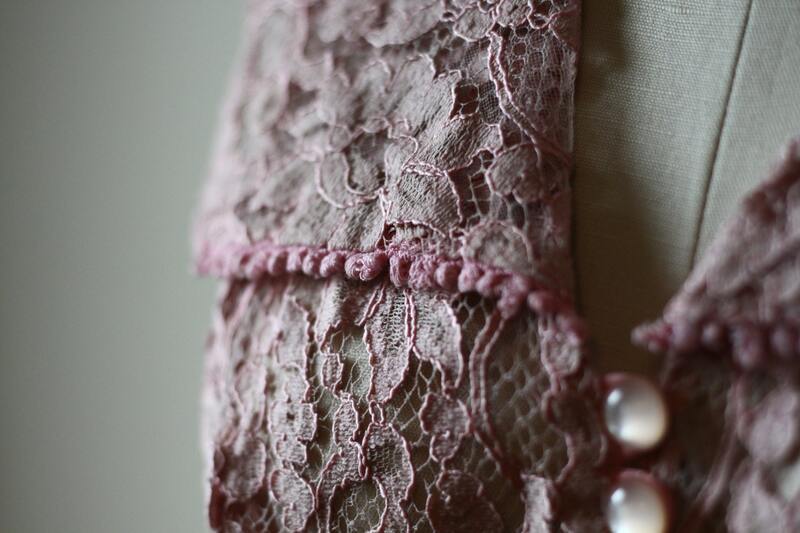 Large lapel with small lace edging around it. This tunic is completely sheer and would need some sort of slip underneath.